During a recent conversation with an engineer from one of Falcon Electric’s sales partners, Falcon team members learned what inspired the engineer about our industrial UPS solutions and why his company chose to sell Falcon to its customers. He knew that Falcon’s SSG Industrial UPSs are very reliable and built with high-grade components. He was impressed with the 4-year battery life at 50°C! These features are critical for their industrial customers as the SSG UPS will reduce costly battery replacements and customers no longer have to worry about premature failures due to heat. 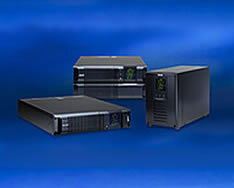 The SSG UPS is agency-certified (UL, cUL, CE) to operate reliably in demanding environments. All 120V models are also UL 508 listed. Tested and designed with robust components and materials, the SSG assures reliable operation and a long service life in stressful environments. It is a true online industrial UPS. The battery banks are easily expandable to provide minutes to hours of extra battery runtime. 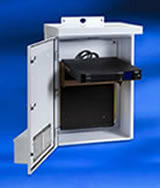 NEMA 3R-rated enclosures, environmental protection, remote UPS management, environment sensors, relay cards – and much more.